Madison Bumgarner was one of the few Giants who didn’t attend Saturday’s FanFest, but somehow managed to provide the most notable quote of the day anyway. Giants manager Bruce Bochy said earlier this offseason that he’s not opposed to the idea of using an “opener” in 2019, the strategy of using a relief pitcher to start a game, something that caught on with a handful of teams in 2018. “I think you have to be open-minded on really all the new things that are happening in baseball, and the success maybe a team or two has had doing that,” Bochy said. “If you’re in that situation your roster is going to dictate whether you may have to use an opener, your pitching staff, how strong are you as far as your five starters. After he made those comments, Bochy said Bumgarner texted him, and didn’t exactly give a ringing endorsement of the idea. 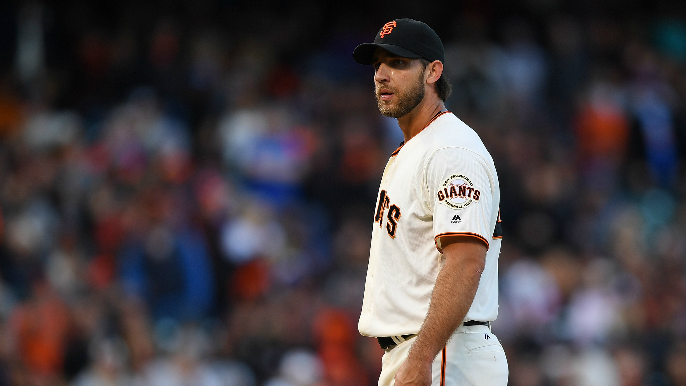 “If you use an opener in my game I’m walking right out of the ballpark,” Bumgarner said via Alex Pavlovic. We think Bochy should try it once, just to see what happens.